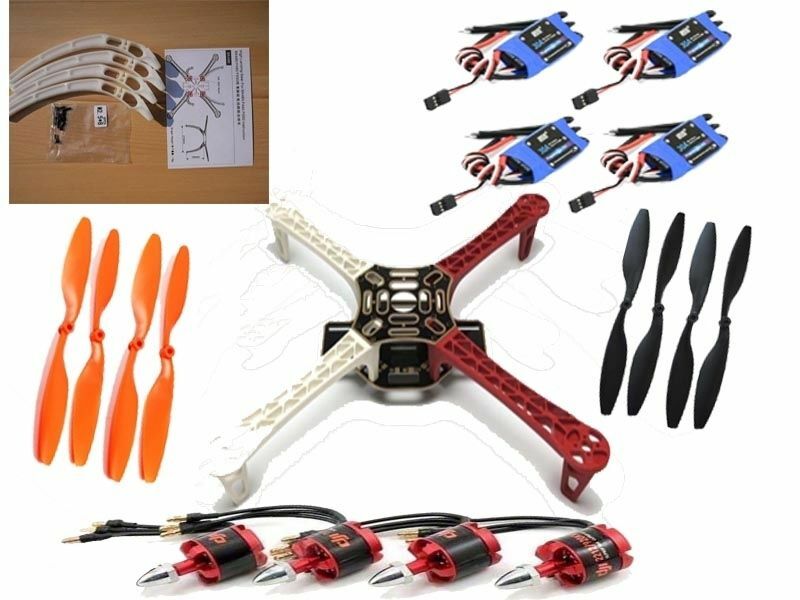 Building an F450 Quadcopter – Day 5 – Flight Controller Test – FAILED! 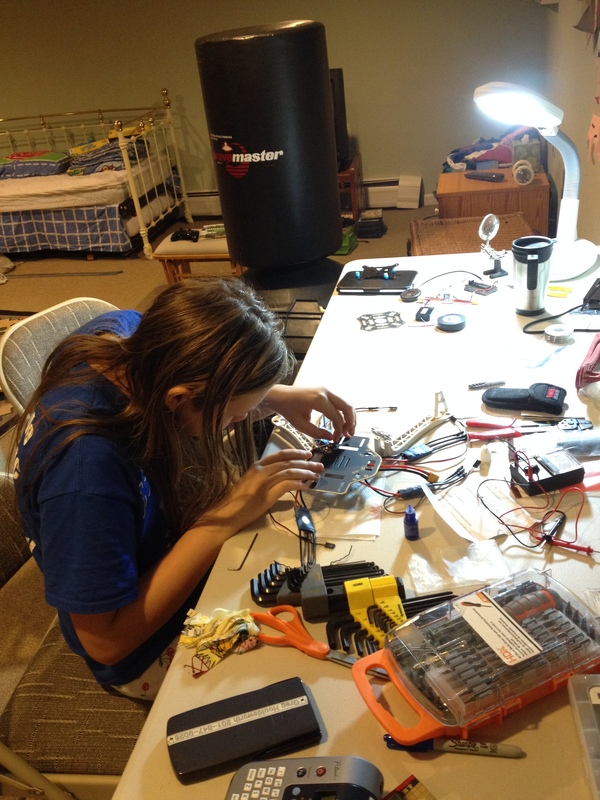 After putting the frame together I figured it would be a good idea to bench test the flight controller, ESCs and motors before we actually attached them to the bird. S wasn’t around so I had to do this sneakily, figuring I would then repeat the process for S once I knew what I was doing. In theory all I needed to do was hook up the motors to the flight controller, connect to the power module and give it a whirl. The first question was which way around the FC connector wires go, but a quick question and I confirmed that the white wire goes towards the middle of the FC. I had the motor order from the APM website and I was ready to go. I connected the battery, moved the stick to the bottom right which should arm the motors and…nothing! After some fiddling (and some blind luck) I figured out that I had the throttle reversed on the transmitter. This video helped me to sort that out. Unfortunately I now had a bigger problem. I could arm the motors but only 3 of the 4 would spin. Motor number 1 (front right and connected to APM output #1) was NFG. Back to those cool guys on Quadcopters who pointed out that I really needed to calibrate the ESCs. Oh yes (doh!). Armed with the knowledge that I had missed a step I went back. But, even after calibration, motor 1 failed to start. Motor 1 happened to be the one that I had left the power cable connected (for backup) so I wondered if that was the problem. I removed the wire without cutting it (this time), reassembled and…still nothing on motor 1. Now we were in full on trouble shooting mode. I tried starting things and wiggling wires and calibrating the ESCs individually. Nothing worked. 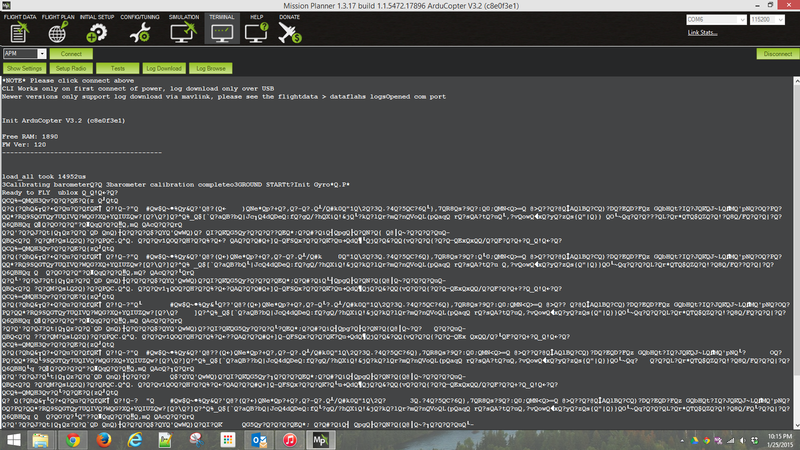 There is a way that you can connect a computer to the APM and have it run a test on each of the motors. To do that you need to connect to the “console”, but each time I connected to the console I ended up with spurious characters appearing on the screen and I couldn’t enter any commands. I tried all of the methods people suggested to get around that and finally came across a post with a person who seemed to have a very similar problem. 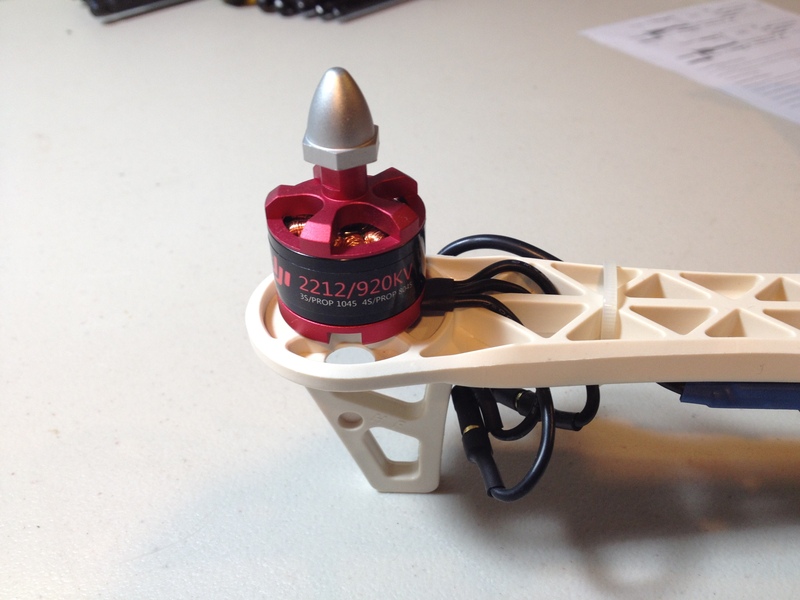 His problem was solved by replacing the APM flight controller! I was now starting to think I had a hardware issue. I tried one last test which was to switch the connections on the APM between motors 1 and 4. When I started up this time motor 1 (previously not working) fired up fine and motor 4 (previously fine) was no longer working, thus indicating that output #1 on the APM is the culprit. Since I was still within the 30 day money back guarantee (just) I started a return with the company I bought from on EBAY. 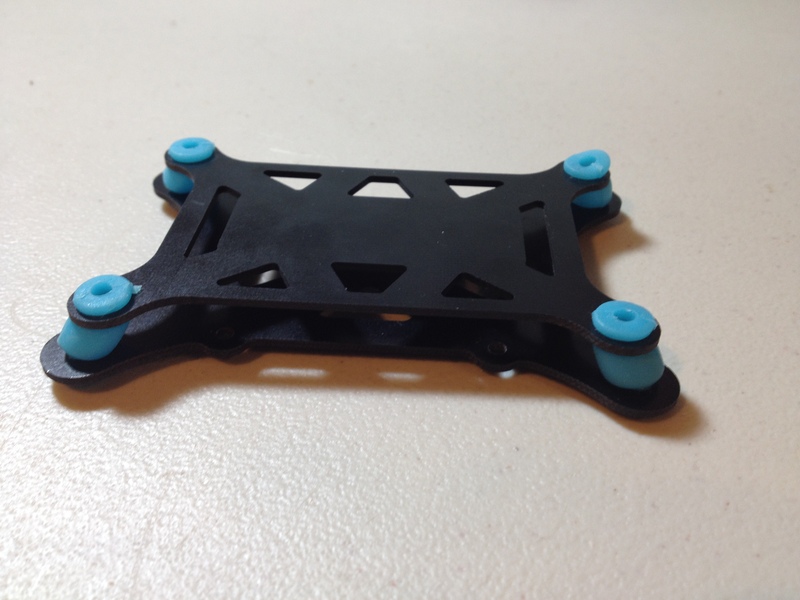 I posted this on the FB Quadcopters group and one the most helpful people there – MG – who had been making suggestions and providing encouragement all along said that he would send me a spare APM that he happened to have to avoid the wait time involved in returns and re-shipping,! No payment, wouldn’t even accept shipping. Just said to try it out and we can work out what to do once things were up and running. Amazing! So, for a short time at least, the fun and games has to stop. But not for too long – MG’s APM should be here in a couple of days, assuming the snow doesn’t get in the way. I’m constantly humbled by the outpouring of advice and support the Quadcopters group has provided and only hope that one day I will learn enough to pay it forward. Stay tuned…we will get this bird in the air yet! The console has now been retired and the motor test functionality moved and can be found under the setup menus in Mission Planner. 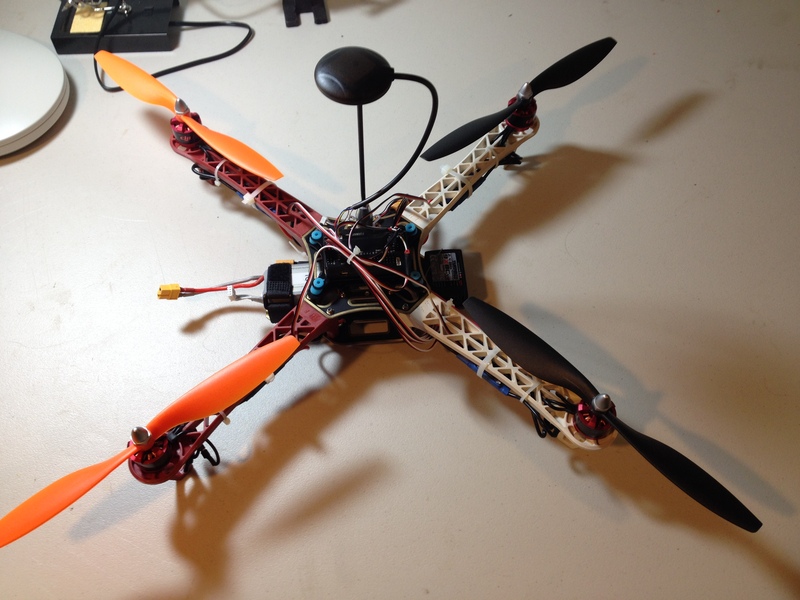 Building an F450 Quadcopter – Day 3 – Soldering! One of my first jobs involved soldering RS232 connectors by hand. I was forever burning my fingers and putting on far too much solder so that I then had to spend time trying to remove it from things that it was not supposed to be on. That was when I was 16, and I still hate soldering to this day. So imagine my joy when I discovered that assembling the quad involved soldering about 30 connections (including some to make connectors for another quad). 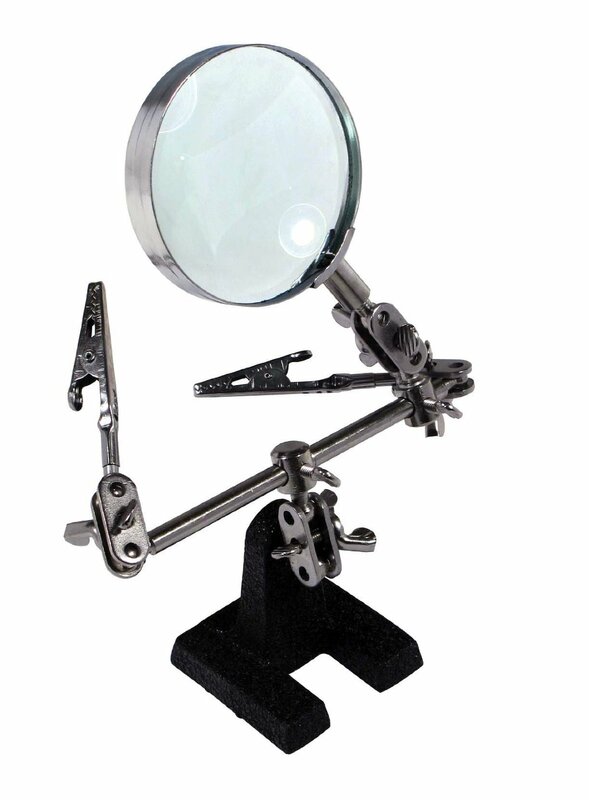 Since those early days I have learned that the right tools can make all the difference so I bought a decent soldering iron and one of those little helping hands with a magnifying glass. 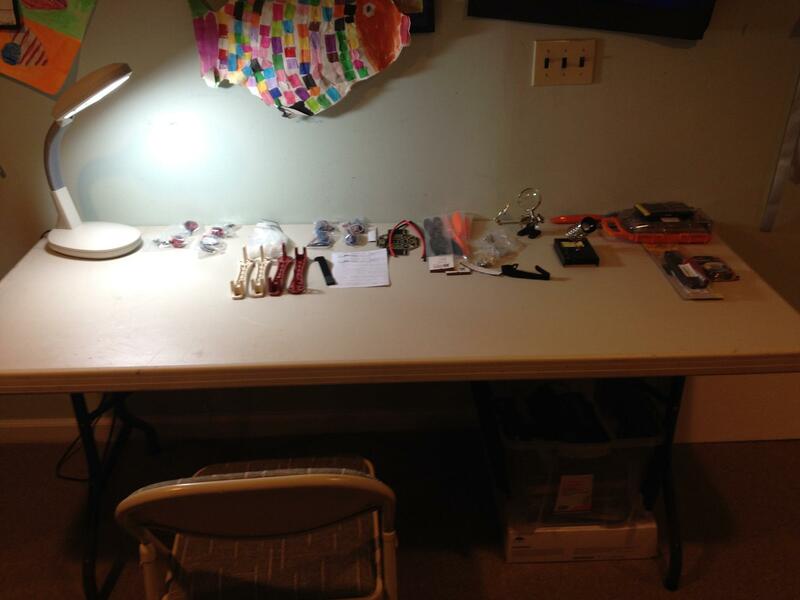 I also watched a ton of videos on how to solder. Honestly I dreaded what lay ahead. So much so that I procrastinated and found all sorts of excuses not to get on with it. In fact my wife even asked “Are you nervous about this?” I was. But eventually, armed with a fresh cup of joe and an audiobook, I got down to work. An hour later I had surprised myself with how well things had gone. 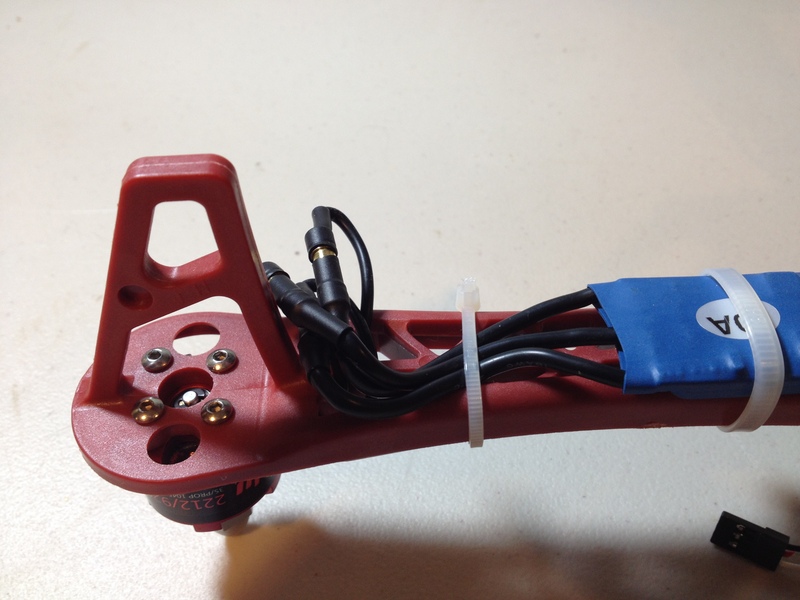 I had made a charger cable for the Aerosky quad, a battery converter so that I could reuse my Phantom batteries, soldered 12 bullet connectors on the Electronic Speed Controllers (ESCs), and soldered all the ESCs on to the power distribution board (PDB). Work finally stopped when I realized I needed another XT60 connector and some wire to make the battery connector, which meant another trip back to Cruzin RC where I am now on first name terms with the proprietor. With progress halted until the next day because the CrusinRC was now closed I turned to the Aerosky quad. With the battery fully charged (thanks to my new lead) I performed the controller calibration and installed the propellers ready for its maiden voyage. Unfortunately the weather was terrible (freezing rain) so that was the end of day 3. With all the parts finally on hand I found myself on a Friday evening rolling into a long weekend. My wife was out with friends, and the kids were all occupied. Time to make some progress! I decided to connect the TX/RX and finish configuring the APM flight controller. I hoped this would be a 15 minute procedure. It wasn’t. I plugged in the 5 connections between the RX and the APM, paired the remote and started the calibration. Everything worked except roll (the input used to steer the craft) which behaved as though it wasn’t connected at all. I Googled, asked on the Quadcopters page on FB (a great bunch of people), and read the TX manual again but I couldn’t find any reference to the situation anywhere. I was really starting to wonder if I had a dud transmitter and would be looking forward to the hassle of boxing it up and shipping it back. After taking some time to reflect (a.k.a sulking) I decided to break things down piece by piece. First, I found a setting on the TX that showed the values being put out by the controls. That convinced me that it wasn’t a problem with the stick not functioning as I could see the values changing on all axis. Next I tried unplugging all the connections and adding them back one at a time, each time shutting everything down (software and hardware) and restarting. When I added the 3rd connection things started working including the roll value! By the time I added the 5th channel everything worked. I have no idea why it didn’t work before but I’ll take it. Sadly all this messing around was a time vampire and my wife would be home any second. I used the little remaining time to set up an area in the basement ready for the big weekend build and called it a night. This was the first time I had taken all the parts out of the box and there was good news and bad news. The good news was that the kit unexpectedly contained a battery strap. The bad news was that it came with no instructions what so ever. I still had a ton of unanswered questions. What is the best way to power the APM? 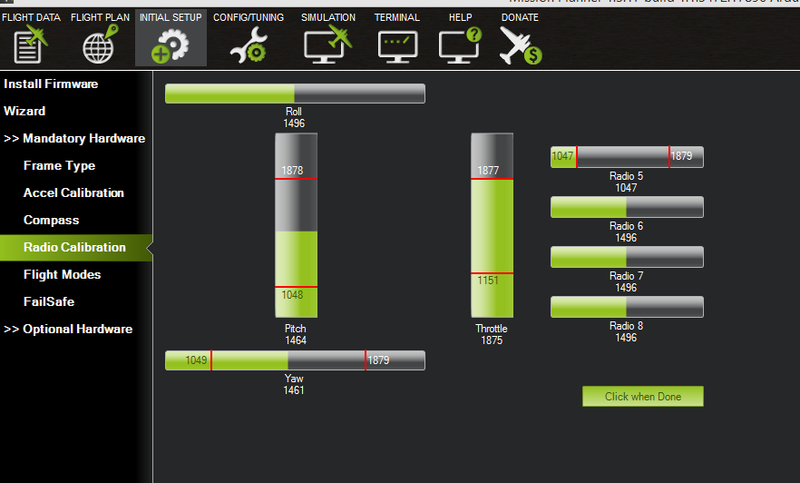 Should I program the remote to cut the inputs to make first flights easier? Did I even know how to do that? Should I mount the APM in the middle (closer to CoG and out of the way) or on the top so that it was easily accessible? In addition, my plans of building this with my daughter were thwarted by her busy social schedule. Clearly this project was going to take longer to complete than I had anticipated. Before I lost my Phantom FC40 in an unfortunate series of events I was enjoying modifying it almost as much as flying, so building a replacement from the ground up seemed like the perfect therapy to put my loss behind me. As a bonus, my daughter (S) was into building it with me and so that would just make it extra special. 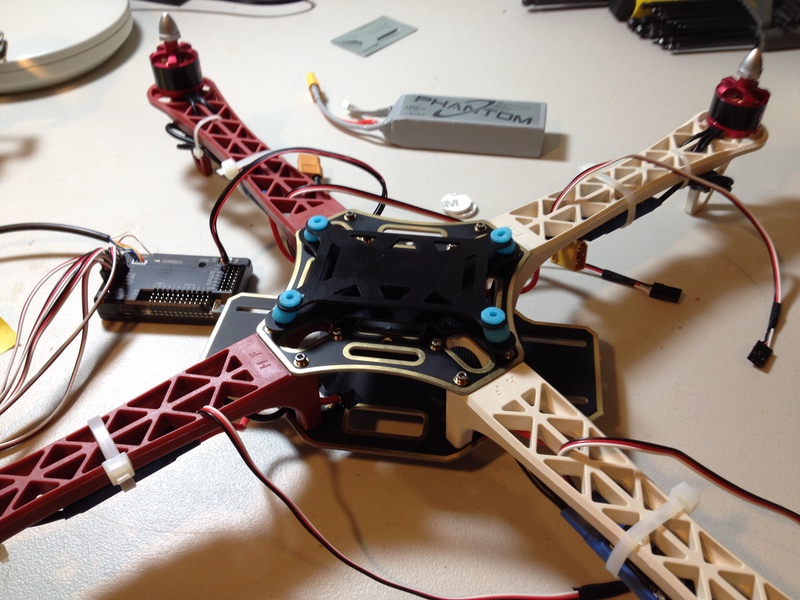 After some research I opted to build a DJI F450 quadcopter. I ordered all the part and, since many of them were coming from China, I started waiting. 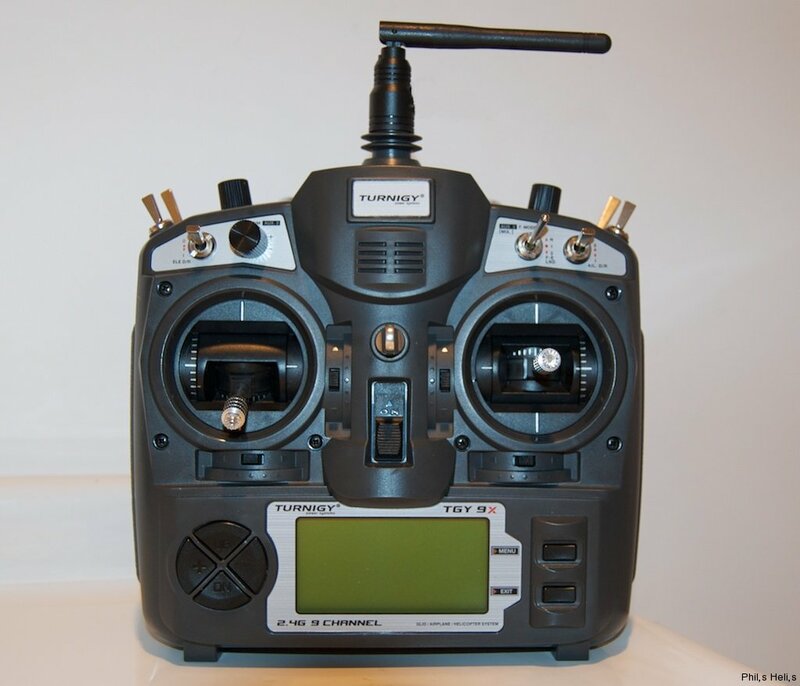 First to arrive was the APM Flight Control, followed quickly by the Turnigy 9X transmitter (TX) and a receiver (RX). 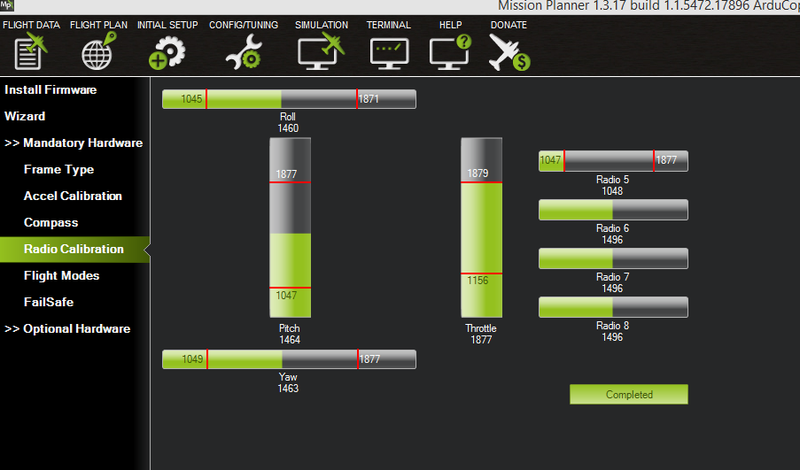 Following along with some excellent instructions from the Painless360 YouTube channel I installed the Mission Planner software, plugged in and started going through the motions. All went well up to the point of calibrating the compass. On the video he waved the unit around and the screen was magically filled with dots as the compass data was fed back. I waved mine around and…nothing! I tried several times without results, waving the unit like a lunatic with S watching, before I realized that I had the 2.6, which has a separate compass module. 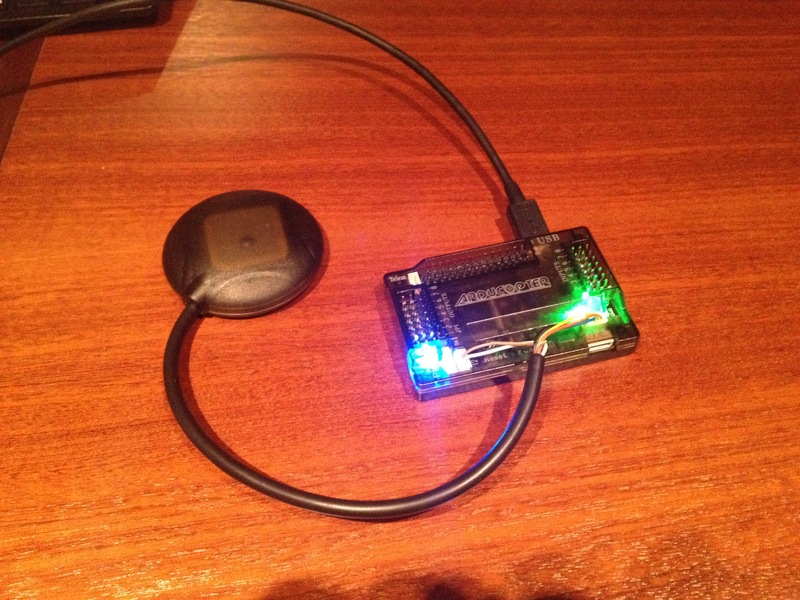 I found the compass and GPS unit and then realized I had no idea where to plug it in. Since it was hard to find I’ve included a picture of how it should be here. Next I played around with using the Mission planner software, liking how it showed where I was (because it had my GPS location) and the direction the controller was facing. Except…it wasn’t showing the direction the controller was facing at all! Did I have a dud? No…once again I had been caught out because the compass is ON A SEPARATE WIRE! It was showing me the direction the COMPASS was pointing, not the controller. Duh! Finally I found myself missing a bunch of small connectors (something that would prove to be a recurring theme) and, with no way to connect the RX to complete the setup, day 1 of the build ended. So far…nothing terrible or too scary. Below are links to the parts list (including prices) and a playlist of useful videos I put together during the process. Enjoy! You know that moment when you realize you have F%$#@d up badly? Yeah…it’s like that. Anyone following this blog will be aware that I received an awesome quadcopter for my 50th birthday. I’ve had great fun with this little baby ever since it arrived. In addition to flying and taking video I found myself enjoying modifying it almost as much as flying it. In three months I added a camera gimbal (these are magic), remote-controlled tilt control for the camera, and upgraded the main camera twice. Looking for interesting things to photograph from the air I remembered an interesting looking dam out in Ringwood that I thought was perfect. It has a nice car park next to the water, a tall flag pole complete with the stars and stripes and, of course, the dam and water. My first visit was a bust due to high winds so I decided to come back another day. Saturday’s forecast was rain and snow, but the morning turned out bright and sunny. Since everyone was still asleep I had no chance of recruiting a spotter, but I decided to go for it anyway armed with three fully charged batteries. I got one flight in and took some nice shots, but I wasn’t happy. I wanted a better shot flying around the flagpole, and I wanted a high downward looking view directly over the dam. I put a second battery and managed two very nice circles around the flagpole, which can be tricky. Feeling cocky then I flew over to the center of the dam (about 100 yards away) and sent it straight up about 200′ to get my shot. I decided that a circular panoramic video of the area would be good, and that’s where things started to go horribly wrong. I looked down at the remote as I started a slow rotation so that I could tell when I was fully around. Unfortunately I had been lazy in my setup of the First Person View (FPV) camera and it was pointing slightly upwards – all I could see was sky. 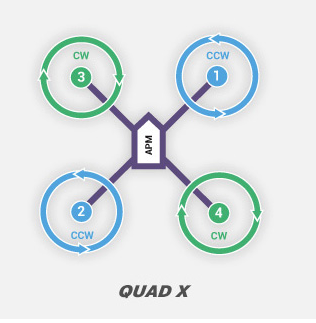 Since I had already started rotating I now had no idea which direction the quad was facing. I knew the battery would be getting low and decided to check the battery status LEDs on the copter. I looked up and…WHERE’S MY QUAD!? I knew it was there. I could hear it. But I had totally lost sight of it. Normally when things start going wrong the best thing to do is climb and get above things that can hurt you, so I automatically did that. Unfortunately that just made matters worse. Now I was looking for a little dot in a very bright sky. A little panic started to set in and I decided to use a feature called Home Lock. Home lock should allow the quad to come back to me regardless of the direction it is facing. I set the mode, pulled back on the stick and waited…and waited…and waited. I couldn’t see it and the sound seemed to be getting further away instead of closer. The upwards looking FPV was useless. Nothing but sky to orientate myself with. In desperation I switched on the “failsafe” return to home feature. This should have caused the quad to fly home and automatically landing where it started from. It didn’t. I could still hear it but I was really starting to panic now because I knew the battery must be seriously depleted. I waited for it to come, desperately scanning the sky. I could still hear it and see the image on the FPV and then…a sickening silence and a few seconds later the FPV screen said “Connection Lost”. I’ve had time to reflect on this. Too much time in fact because I have actually woken up dreaming about this on several occasions. So, with 20-20 hindsight, here are the things I did wrong. When I added the GoPro to the gimbal I knew it’s wifi range was short, so I stuck the original FC40 camera on the battery door. The door is angled slightly upwards and I should have taken the time to adjust things so that the camera always pointed slightly downwards. Had it been looking down I could have orientated myself better and probably flown the quad home manually when the fancy Home Lock and RTH features failed. I should have allowed for the fact that dams contain large amounts of rebar. 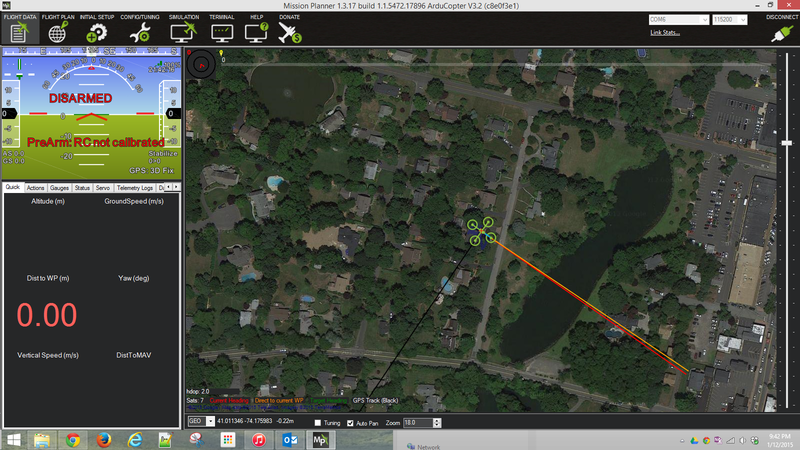 I believe this may have confused the compass and interfered with the ability to use Home Lock / RTH. I could have flown it home manually (see above) but autonomous flying should not have been relied upon. I should have taken a spotter – preferably someone with younger eyes than me. OK, that’s tough because if I waited for that I’d almost never fly. But it might have saved the day. When things went wrong I should not have increased altitude. While this has saved me other times, in this scenario it just made matters worse. Instead I should have dropped down as it would have brought landmarks into view of the FPV camera and I could have orientated myself and flown home manually. I should not have been so lazy / cocky and walked to where I was flying instead of just standing 100 yards away in the car park. It would have given me a better chance of keeping it in sight. It was a very bright morning and the ability to see what little information their was on the tablet I was using for FPV was limited. A cheap cowl would have made a huge difference. The parts for this are winging their way to my home from various locations around the world right now. I had also been helping a friend who has a dead Phantom 1 that he doesn’t have the time to fix. When he heard about my loss he contacted me and said “If you can get it working, it’s yours”. Wow! That really made my day. No idea if it will ever really come back to life, but I’m betting there’s a good chance. So, learn from my mistakes. Don’t be cocky. Take time to set things up properly. And bring a spotter when you can. It could be the difference between a healthy drone and a drowned drone.